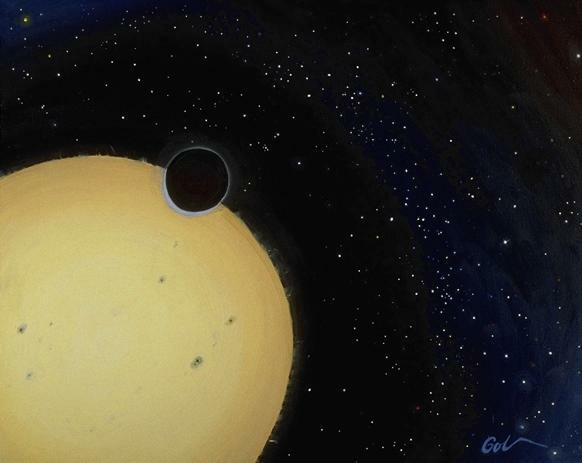 The first extrasolar planet to show transits across the disk of its star has been detected with the T8 0.80 meter Automatic Photoelectric Telescope (APT) at Fairborn Observatory. The APT is operated by Tennessee State University in Nashville. For further information, see the links below. Permission to reproduce this painting in any form electronic or otherwise must be given in writing by Goli Sotoohi (gsotoohi@coe.tsuniv.edu).